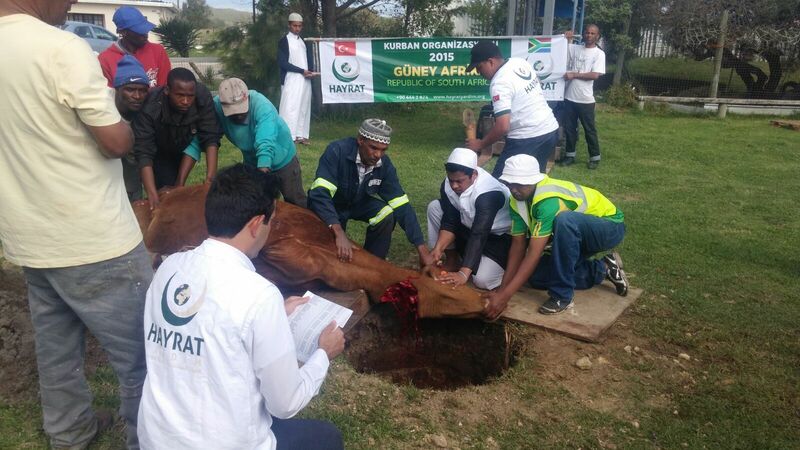 The Muslim Judicial Council (SA) and the Hayrat Foundation, Turkey, embarked on a joint Eidul Adha Qurbani Project. The MJC and the Hayrat foundation are members of the International organization known as NGO’s of the Muslim World. The Qurbani project comes as a result of good working relations between the two organizations. In 2012 the Hayrat foundation were hosted by the MJC and various institutions of learning were visited in an attempt for them to understand the challenges faced by our local institutions. The 2015 Qurbani project saw 50 Bulls slaughtered and the meat distributed amongst the poor of our communities. 30 Bulls were slaughtered in Paarl and 20 more in Macassar during the festive days of Eidul Adha. The Hayrat foundation was represented by Mr. Yusuf Kara and Dr. Iyas, who were both tasked with ensuring that the process ran smoothly in South Africa. The Qurbani project was funded by the Hayrat foundation that sources funding via donations from the Turkish community in Turkey. 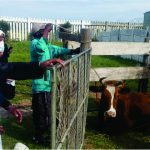 The MJC partnered with various community based organizations and Mosques to ensure that the meat reached the areas in the community that needed it most. The MJC looks forward to future initiatives such as this that will benefit the local Muslim Community InshaAllah.